Welcome to Window to the Womb Watford - leading 2D gender scan & 3D/4D/HD scan ultrasound bonding scan studio in Hertfordshire. Our ultrasound baby bonding scan studio is located in Watford, which is situated 17 miles (27 km) northwest of central London and easy accessible from M25 motorway. Window to the Womb Watford specialises in providing 99.9% accurate gender scans and amazing 3D/4D /HD baby scans in our comfortable ultrasound studio based in Colne House, Watford. We are now delighted to be able to offer our unique ultrasound scanning services to mums-to-be and their families from Hertfordshire, Bedfordshire and Buckinghamshire so whether you live in St Albans, Hemel Hempstead, Watford, Aylesbury, High Wycombe or Luton you can now experience a Window to the Womb Watford 2D sexing scan or 4D ultrasound scan for yourself. We are the leading baby scan studio in Hertfordshire and offer expectant parents the opportunity to experience the very latest technology which will give you a truly amazing view into your baby's protected world. With all our packages you can upgrade to HD live, which is an extraordinary rendering method that generates incredible realistic images of the baby from sonographic data. Our range of gender scans, 3D scans and 4D/HD scans are designed to fit into the various stages of your pregnancy; our sexing scans start at just £55 and we can tell you the gender of your baby from 16 weeks, a full 4 weeks before your 20 week hospital scan! 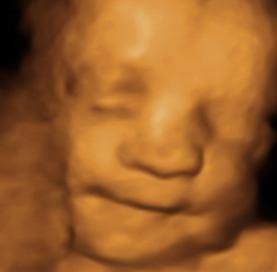 From 24 weeks mums can experience one of our 3D/4D scan packages which start at just £89. Many of our ultrasound scan packages include digital videos and photos of baby. The guarantee of impeccable customer service is the fact that 90% of the customers who come for gender scans come back later in the pregnancy for 3D/4D/HD scans, when the features of the baby are more visible and the whole family can enjoy an incredible experience seeing the baby yawn, blink, play with the umbilical cord or smile. For the packages booked on the same day of the gender scan, we often offer discounts and vouchers. All of our baby scan packages start with a well being check of baby; our fully qualified & registered sonographers will check movement, heartbeat baby position and placental position. Our Hertfordshire-Watford baby scan studio has loads of room for you to bring friends or family with you to share this wonderful experience. Neha and her team look forward to welcoming you, your family and of course your bump to our studio and having the privilege of introducing you all to your baby. Highly recommended for every 'lady with baby'. Great staffs, nice location and extremely safe procedure. Surely would come again if i ever opt for a second child. Highly recommended for every budding mother. The sonographer was awesome and so was the other staffs. Nice location. Easy to access. In one word- perfect. I would highly recommend Winidw to womb. The packages are designed for parents with every kind of need. I availed the 4D scan package that was the best, in my view. I never imagined i would be able to experience such joy even before my little angle was born. My husband accompanied me here for the baby scan. We are absolutely overwhelmed by the perfect service and the best staff. I made the right decision by coming at Window to the womb for my daughter&rsquo;s first baby scan. We got the best treatment and service. I highly recommend it to every expecting mother. I was afraid that something is wrong with my pregnancy as I was having periodical cramps for some days, and it&rsquo;s not even close to my due date. From the baby scan, I got to know, it&rsquo;s normal and my baby is perfectly safe. I got to see my baby for the first time. It was an amazing moment for me. The staffs are really good. It was not until our second baby when we decided to go for the gender scan. We received the good news of having a boy after having a girl previously. The clinic was very professional and up to the standards. I would give 5 stars for their facility. Phenomenal!! Staff were brilliant, from introduction, scan and choosing my pictures. 100% recommending Window to the Womb. Thank you all!